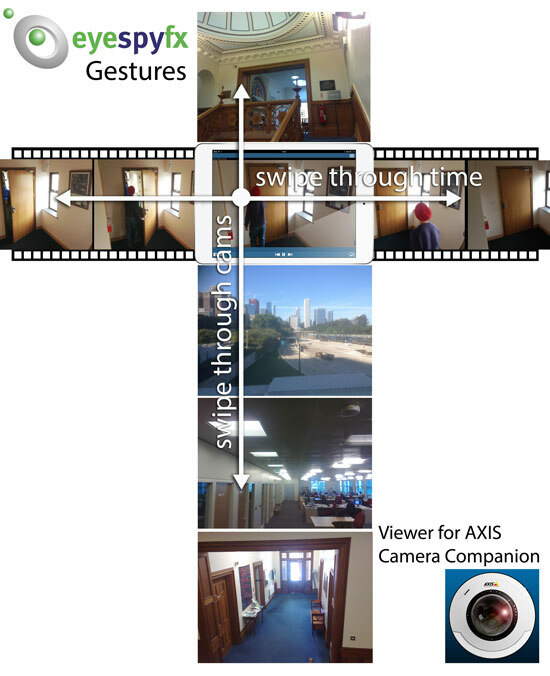 In the latest of “Viewer for AXIS Camera Companion” features gesture based control. You can move from cam to cam by swiping up and down on the image. In the recordings area you can control the timeline by swiping left and right. We are gradually moving toward an idea where we can move through time and space (represented by cameras) in a fluid way with less and less UI getting in the way.